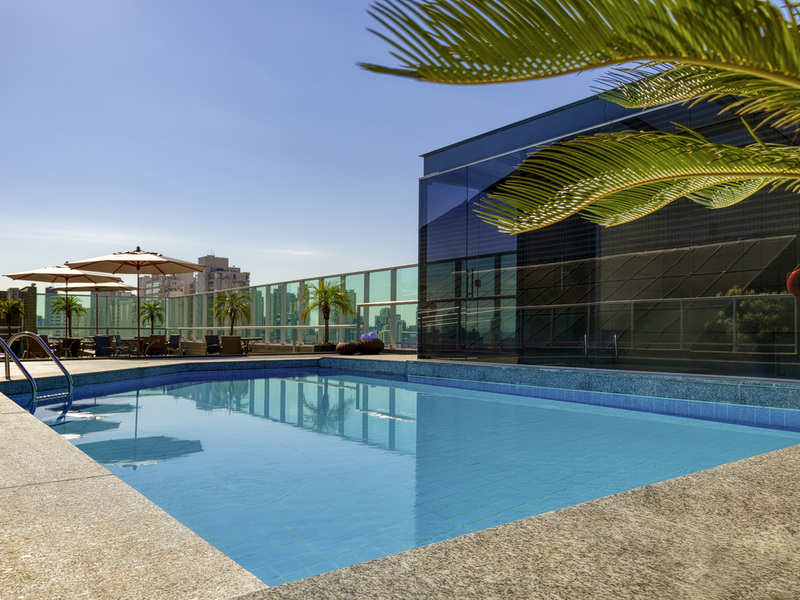 The Mercure Belo Horizonte Vila da Serra hotel, located in Nova Lima next to the Belvedere district, is just a few minutes from the center of Belo Horizonte and Savasssi. The hotel is close to the BH shopping center and to the mining capital's best night-time hot spots and it has easy access to the Expominas convention center. It is also within easy reach of the Anel Rodoviário, the exit route to historic cities, and is 31.1 miles (50 km) from Confins airport and 32.3 miles (52 km) from Inhotim museum. Located in Nova Lima's business center. Featuring modern, charming and comfortable facilities for business or leisure travel. Renovated and fully equipped apartments. Traditional pizzeria restaurant in Belo Horizonte. Easy access to airports via the ring road. Near the Vila da Serra bus station. You can choose between the following categories: standard apartment or superior apartment. All apartments comprise a bedroom, lounge, kitchenette, hot/cold air conditioning, wireless Internet and LCD TV.